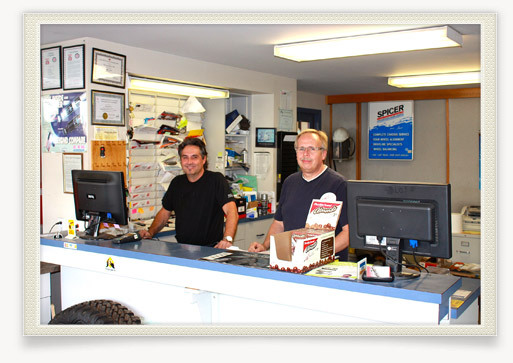 We are a full service, automotive repair and maintenance shop serving the Winnipeg area with many years of consistent and friendly service. Our professionalism sets us apart from the rest. Visit us for all of your maintenance and repair needs. We are an ACDelco Repair Center and CAA Certified Shop, providing you with the highest quality service. We are a friendly, clean, and efficient shop that understands the stress car repairs can sometimes cause. Our experienced staff do everything possible to make our customers feel welcome, comfortable, and satisfied with their service experience. Fleet Service is a specialty at Degagne Motors. High Priority Service for fleets on the go. At Degagne Motors, we know how busy you are and want to help keep your vehicle in top condition. Our team of managers and highly qualified automotive technicians offers you 135 years of combined experience in the industry. We keep up to date and stay ahead of new technologies appearing in the latest model vehicles with manufacturers' service updates and regular training courses. Call us at (204) 237-3041 or email us at info@degagnemotors.ca for a competive quote.